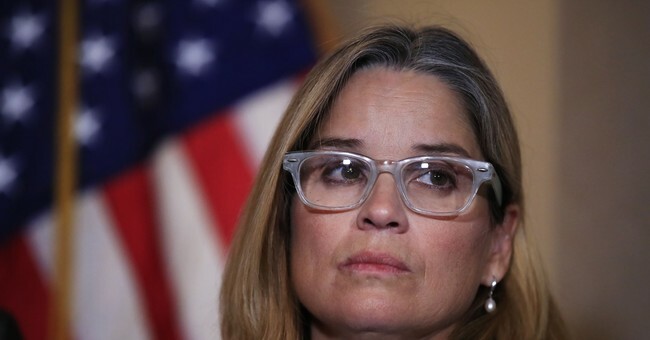 San Juan Mayor Carmen Yulín Cruz infamously picked a fight with President Trump in the aftermath of Hurricane Maria last year, the storm that devastated Puerto Rico. The official death toll was 64, but Gov. Ricardo Rossello suggested the actual number is higher. President Trump signed a $36.5 billion aid package for the nation. Some of the aid took awhile to get to its destination. Cruz took aim at the White House in those months, accusing the U.S. government of turning its back on them. Some of her messages were indirect. She wore a "Nasty Woman" shirt on CNN, in reference to Trump's insult for Hillary Clinton during the 2016 presidential campaign. Others were not blatant, like when she said Trump "speaks out of both sides of his mouth." "On the one hand, he says he wants to help Puerto Rico. On the other hand, he imposed a 20% income tax on every good and service that comes from Puerto Rico into the United States. On the one hand, he says we will be with you for the long run. And on the other hand, the [Food and Drug Administration] is trying to convince pharmaceutical companies to leave Puerto Rico," she told Amanpour. "He says he cares and he came here and threw paper towels at us," she continued, referring to Trump's visit to the city of Guaynabo in October. "And on the other hand, he doesn't provide his administration with a clear set of goals to help Puerto Rico." The media ate it up. She was invited on late night talk shows to continue her tirade against the president. She expanded her criticism to weigh in on his policies. Thankfully, when the two did eventually meet in Puerto Rico, they put a ceasefire on their war of words. Cruz may be the hypocritical one here. New reports suggest that corruption in San Juan prevented critical supplies from reaching Hurricane Maria victims. The FBI is investigating suppliers and Cruz's administration. It says the investigation was launched after former procurement director Yadira Molina filed a lawsuit claiming she faced punishment for reporting illegal activities to the local comptroller. The investigation has since grown to include several contractors. Until she and her staff are cleared of wrongdoing, perhaps she should withhold judgment of Trump's leadership style.